News | Front Rank | Front Rank Figurines specialises in the design and manufacture of high quality military war games and collectors figurines in 28mm and 40mm. Posted 14/01/2019 by frontrank & filed under Uncategorized. Bidding is now closed for the French Napoleonic Ex Display figures. 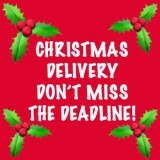 If your bid has been successful we will be in touch ASAP. Posted 09/01/2019 by frontrank & filed under Uncategorized. Posted 24/07/2018 by frontrank & filed under Uncategorized. 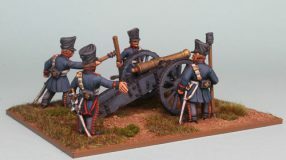 We are pleased to have the second releases of our Napoleonic Prussian Artillery range available now! 2 new Prussian Horse Artillery Reinforcement packs, 2 new guns + 2 Reinforcement Sets. Posted 23/01/2018 by frontrank & filed under Uncategorized. 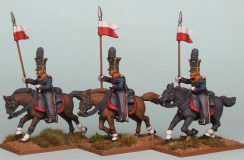 Napoleonic Prussian Guard Uhlans are now available! 3 new Prussian Uhlan Reinforcement packs + 2 Reinforcement Sets. 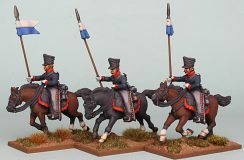 To see the new 28mm Napoleonic Prussian Guard Uhlans painted by Richard Abbott please visit our gallery pages. 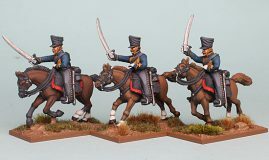 Napoleonic Prussian Uhlans are now available! 3 new Prussian Uhlan Reinforcement packs + 2 Reinforcement Sets. To see the new 28mm Napoleonic Prussian Uhlans painted by Richard Abbott please visit our gallery pages.